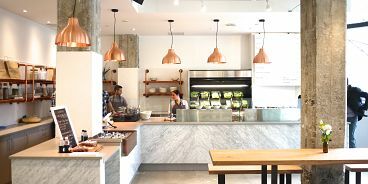 Enter Field & Social, the sparkly new salad shop near Dunsmuir and Homer. 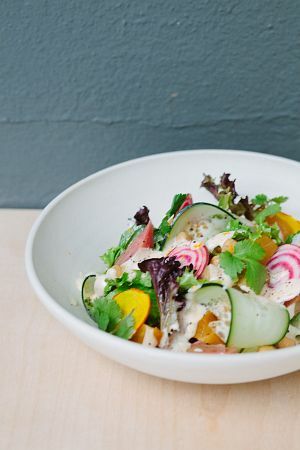 Born of a shared vision between lifelong friends Stephen Collins and Moe Samieian, this 30-seater, fast-casual restaurant offers healthy, generously-portioned lunches to fill the void in this genre. Choose from their eight unique menu items, in a stunner of a dining room designed with marble counters, wooden communal tables, rough concrete posts and copper accent lighting.